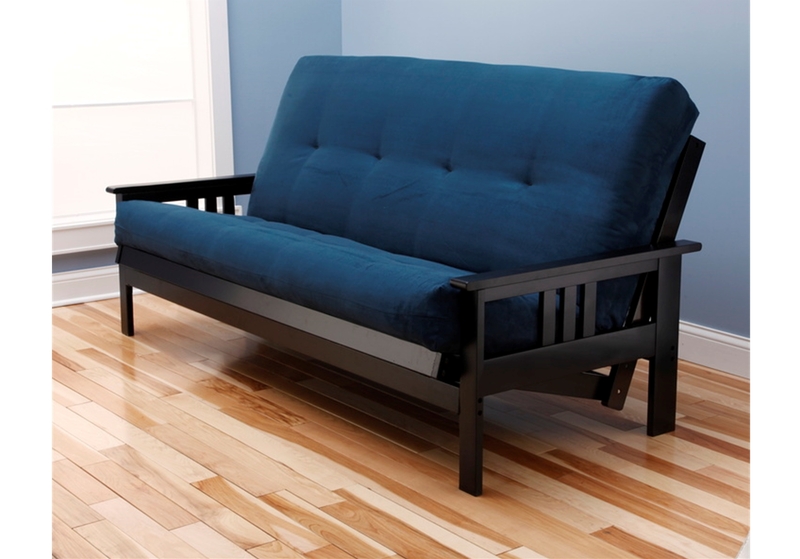 Black Mission Full Futon Frame with mattress in Suede Navy - Buy from Manufacturer and Save. 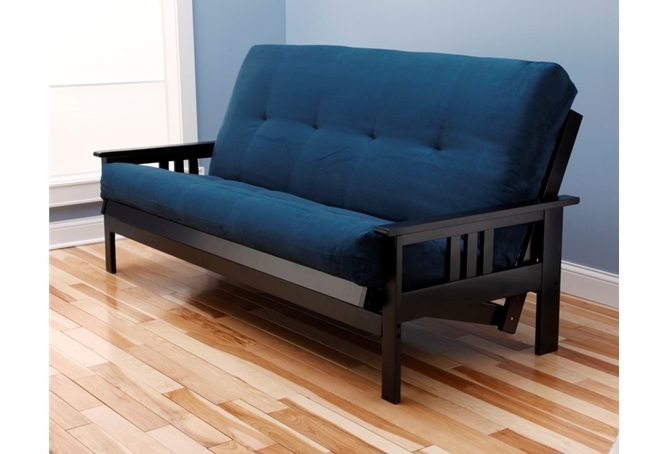 Mission Arm Black Full Futon Frame with mattress in Suede Navy reflects a distinctly modern, southwest styling. Offers premium construction using real hardwood and a technologically advanced multi step finishing process ensuring a rich finish. Features sofa height seating, reinforced brackets, sleep position auto locks and support struts for the back and seat. This futon convertible adjusts from sofa to bed in a matter of seconds, turning any room into a wonderful seating or resting area. Features sofa, recliner and bed positions. Made of plantation grown hardwoods that are sustainably harvested. Optional storage drawers are also available. Offers lush feeling of lush suede. 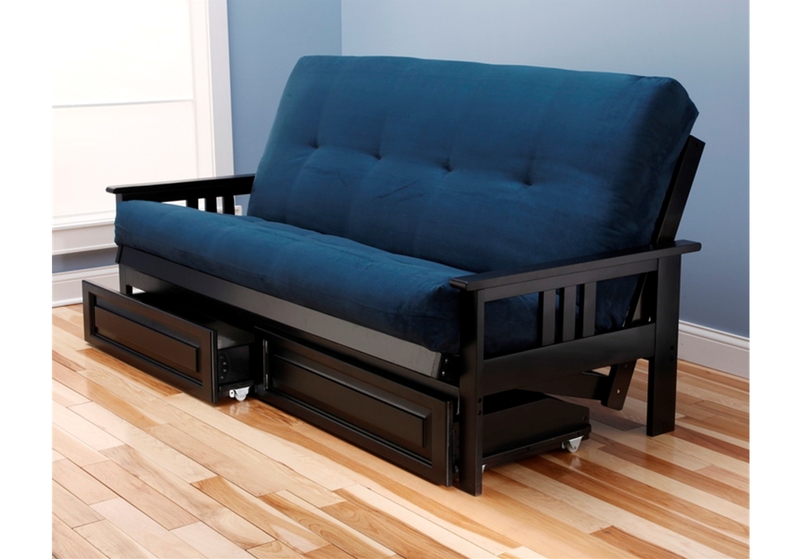 Suede Navy futon is a full size innerspring futon mattress. Features 294 Vertical 13 3/4 g Active Support Technology springs, Insulator Pads, 1 1/2 High Density Foam, sandwiched between 20 pounds of Garneted Cotton. Hand Tufted. Made with solid "no slip" back panel. Meets all CSPC Flammability Standards Made in the USA.